Risks are part and parcel of any business. In fact, it is totally inevitable because there is no sure-win when it comes to running a business. Risks ensure that your business succeeds or fails. This includes issues like low sale periods, problems with suppliers, legal issues, shortage of supply, customer related complains and others. Risks – what you should know? 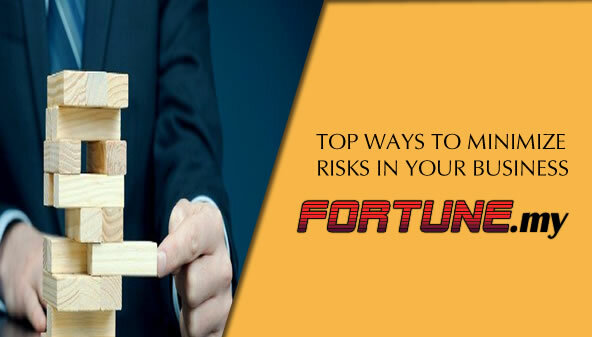 Risks can be extremely damaging especially when it comes to running a business. It could be a mild situation affecting your daily operations or something more major that could cause a shut-down. One thing for sure, it cannot be taken too lightly. The one factor that you must first consider is the nature of your company whether it is a private limited (Sdn Bhd) or a Sole Proprietorship where the latter is of course higher in risk. Large corporations have dedicated teams that handle risk management. They will take all factors into consideration before making a strategic decision. But what if you are running a small business or one where you have to check and balance all the risks involved? The truth is, you cannot actually foresee risks. But you can try to minimize it and take precautionary steps before the anything bad happens. Here are some ways. Prepare for the worst – This is where you need to ask yourself where your business will be in the next 6 months and if you have the funds to get there. You must consider factors like rental, overheads, wages and such. What if you lose your biggest customer? Can your business still survive? Do you have any businesses in the pipeline? Insurance – Talk to the insurance companies and see how you can buy a policy for certain aspects of your business. For instance, there are insurance that you can engage that helps to repay loans should there be a situation where you are unable to carry out your duties. In fact, you can actually insure certain key people in your business but before that, you must first insure the basic tools like your vehicle (used for the business), equipment and such. Indemnification clauses – You should seek indemnification if there are any risk of damages that might occur by other parties. For instance, you get sued for supplying a product where the supplier did not have proper documentation. It isn’t your fault and as such, you should not be held liable. But first, you need to get the indemnification clarified. Exit Strategy – This is most important if you are entering into a partnership. Before signing a contract, make sure you know what your exit plan is. This helps you to cut your losses if something goes wrong. It will be more apparent with new startups or small businesses. Remember that you are entering a business and ending the relationship should be clear and straightforward. Having stated all of the above, remember that you cannot eliminate risks when running a business but you can merely minimize it. The main idea behind this is to be prepared. When you run a small or medium business, this can be done quite easily. Preparing for the worse means you can accept what might happen and take steps to correct them. If you venture too deeply in a short period of time, the danger escalates.